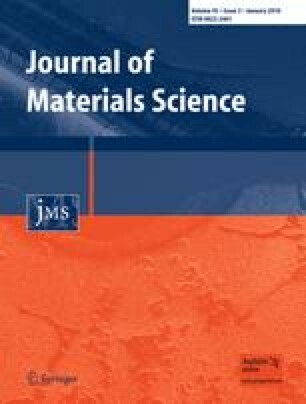 The moisture absorption behavior and the influence of moisture on thermal and mechanical properties of glass–fiber/polyetherimide (PEI) laminates have been investigated. The laminates were exposed to hydrothermal aging at two different temperatures and high moisture rates. The properties of as-received and hydrothermally aged samples were compared. The hydrothermally aged laminates contained a large amount of moisture which caused decrease in the glass transition temperature and deterioration in mechanical properties (interlaminar shear strength, flexural modulus, bearing strength, etc.). Fractographic analysis revealed interfacial debonding as the dominant failure mechanism, indicating a strong influence of water degradation on fracture toughness results. Alterations in visco-elastic properties of glass/PEI composite which was exposed to hydrothermal aging were analyzed with the dynamic mechanical thermal analysis (DMTA) method. DMTA tests give evidence of plasticization of the PEI matrix.